Last weeks we are detecting through Sonda Ariolo a trojan infection called Keitaro TDS which redirects HTTP request of users to malicious websites to download malware and compromise their systems. At first glance it seems that although the public IP is from Russia and threat intelligence engines like OTX and virustotal don't categorize it with bad reputation or malicious IP, when we analyze in depth, we are going to find out that it has lots of domain name register against the same public IP. How have they avoided to be detected by threat intelligence? Maybe with DGA, who knows!! 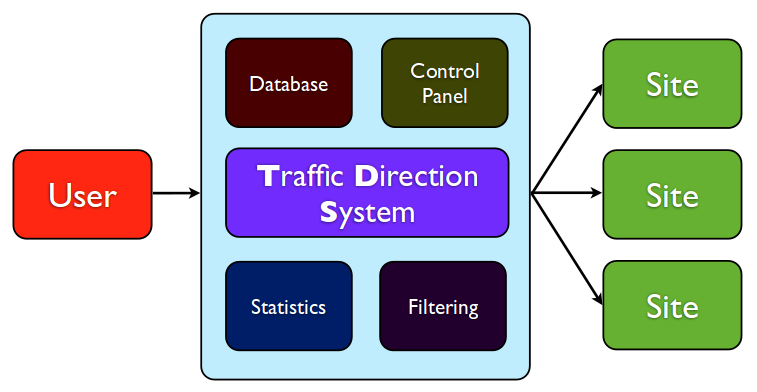 What is it a TDS or Traffic Direction System? At the beginning it reminded me a load balancer which can analyze the HTTP header to send the user request to the proper web server. For instance, a mobile user with an iPhone is redirected to the mobile web page version while an user with a laptop is redirected to the normal web page. This is done just looking at User-Agent attribute inside the HTTP header. But … What is it a TDS? 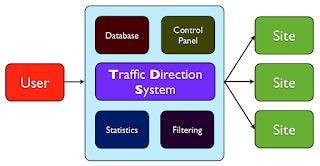 Actually, it is a system which can analyze users' system settings to gather information of users like their browser, IP address, language, Operating System, etc and TDS along with this information and web traffic redirection techniques like server-side redirection, iframe redirection, video redirection, etc redirect our request to a web server. Is this a malicious activity? Of course it isn't, it is legal but it can be also used for malicious activities. In fact, there are many TDS services out there like Keitaro TDS or WapEmpire which help publishers and advertisers earn money with advertising campaigns. However, these services can be also used by cybercriminals to choose either specific targets or wide-ranging groups, depending on their geographic locations, software preferences or language settings to deploy and distribute malware and to steal critical information. 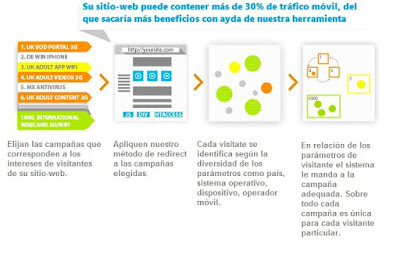 For instance, they can redirect users' traffic to pharmaceutical websites in the morning and to adult websites at night, or they can redirect unwanted traffic to default website like Google or Yahoo and wanted traffic to pay-per-click (PPC) websites to earn money. How does it work? Mainly it works with business partners or Partnerka, which is a Russian word. On one hand, there are people who compromise end-user systems creating a botnet from where they request legitimate sites. On the other hand, there are people who compromise websites injecting 0 x 0 iframes capable of handling requests from invisible iframes. Besides, there are people who manage TDS systems to filter and redirect traffic to make money. 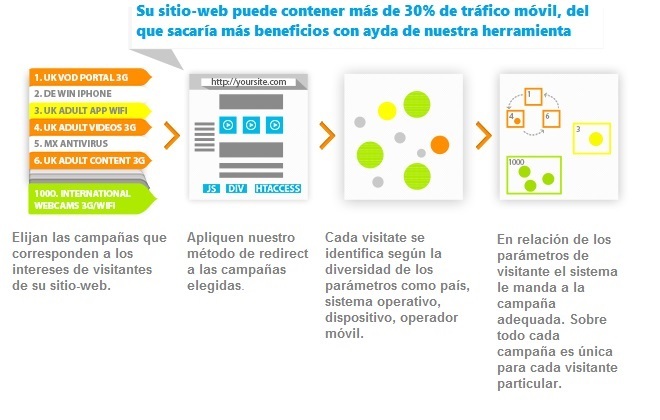 Today, this technique is also used by Black Hat SEO to make aggressive campaigns by those who are looking for a quick financial return on their web site. However, this trick can be banned by search engines banning your web site.